OAKVILLE, ON – Cameron’s Brewing has announced details of the latest addition to its Brewmaster’s Series of limited edition seasonal beers. 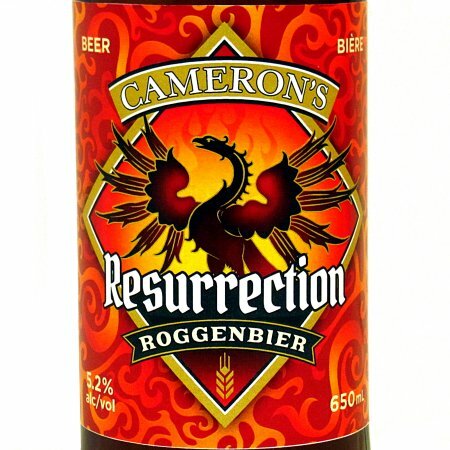 Resurrection Roggenbier is a 5.2% abv ale brewed using a recipe based on a traditional German rye beer style that was banned with the implementation of the Reinheitsgebot purity law in 1516. Further described as a “sessionable, drinkable, refreshing, smooth ale,” Ressurection Roggenbier is available now on draught at select bars and pubs in Ontario, and will be available soon in 650 ml bottles retailing for $5.95 at LCBO outlets throughout the province.